One of the campers who attended our summer camp, The Hope Connection, in the early 2000s was a lovely thirteen-year-old who had been adopted from an institution in Eastern Europe. She had been a sexual pet for the workers there and bore the deep emotional scars of chronic maltreatment. During the fall school term following this young adoptee’s summer camp experience, her mother called us and told us how her daughter refused to walk to school alone. Frustrated, her mother explained how the walk to school was just a few blocks and was clearly safe. Lots of children in the neighborhood walked to school alone or with friends, but her daughter wouldn’t do it. This mother had concluded that her daughter was being willfully disobedient, and the mother was ready to turn her out. Dr. Purvis and I explained to the mother that it did not matter that she knew her daughter was safe, what mattered was whether or not her daughter felt safe. We suggested that she start walking her daughter to school, and when her daughter did in fact begin to feel safe, she would ask to walk alone. After a few weeks of walking together, this is exactly what happened. Once her daughter began to feel safe—a feeling cultivated by shared experience with a caring adult—her natural thirteen-year-old need for independence asserted itself, and she was able to join her peers on the trek to school. Of course, this was just one episode in this young teen’s healing journey, but it was a telling episode. 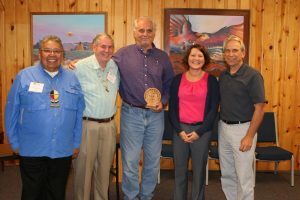 David Cross, author of this online journal article and 2016 recipient of The Model of Leadership and Service Award, will join Martin Brokenleg, Larry Brendtro, Steve Van Bockern, Mark Freado and others as a presenter at our 24th annual Black Hills Seminars! This event is beneficial for all who work in prevention, treatment, and education with challenging children and youth. Don't miss this excellent training opportunity! 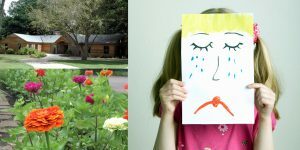 Mark Freado will be presenting The Art of Kid Whispering, June 12-13, and Three Pillars of Transforming Care, June 14-15. Join us for one or both trainings! This entry was posted in Online Journal and tagged connection, David Cross, felt-safety, Karyn Purvis, regulation, Safety, three pillars, Trauma, trauma-informed. Bookmark the permalink.